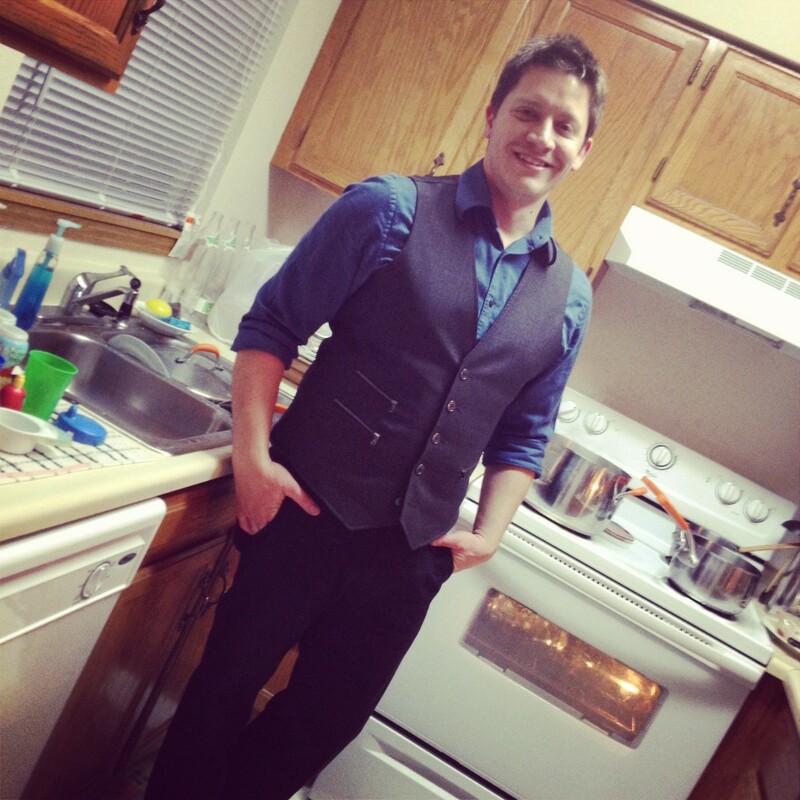 i know…way out of my league ;) seriously, the vest gets me every time! also, if anyone is interested, the treus are now on instagram! yes, we’ve joined the cool kids :) if you want to follow us, you can find us under “thetreulife.” here’s another pic of the birthday boy on his actual bday. 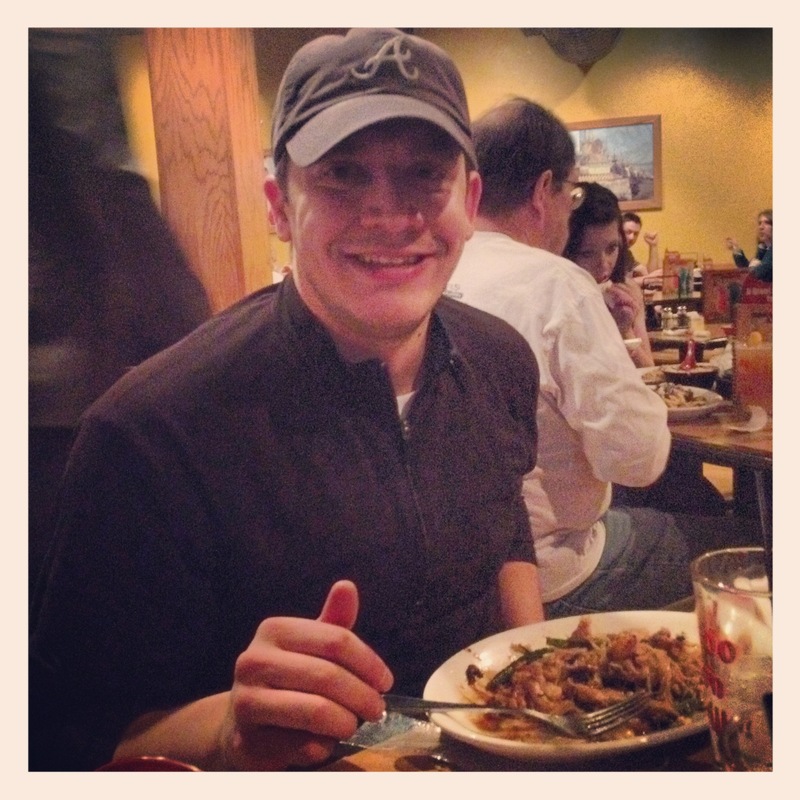 the boys and i took him to a mongolian bbq place for dinner. when we returned home, branden was greeted by about 40 lovely people who filled our house (which isn’t that big!) for a surprise pie party! yay!! thanks everyone who helped and came out; you made his night!! okay, first things first. preheat your oven to 350 degrees F. next, crush your graham crackers into small chunks and crumbs. i use my kids for this :) just fill a large ziplock bag with the crackers and give them something hard (but safe!) to smash the crackers with! melt the butter and add it to the crackers. make sure to mix it together well as the butter will help hold together the crust. 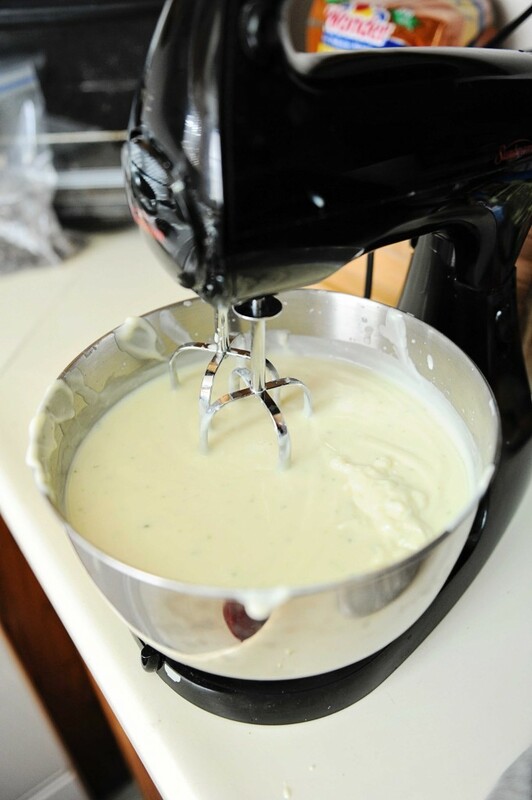 you can add more butter if you feel like it’s still too dry. 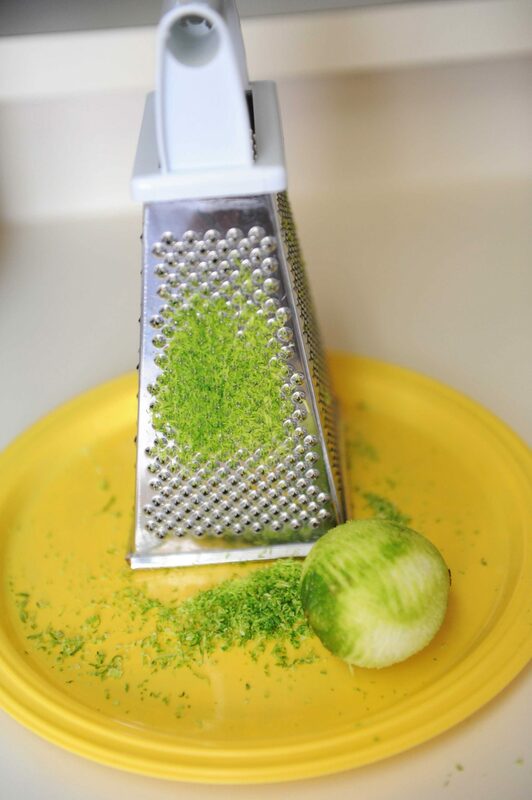 while all the crushing is going on, you can zest your lime! next, press your cracker/butter mixture into your pie pan to make the crust. 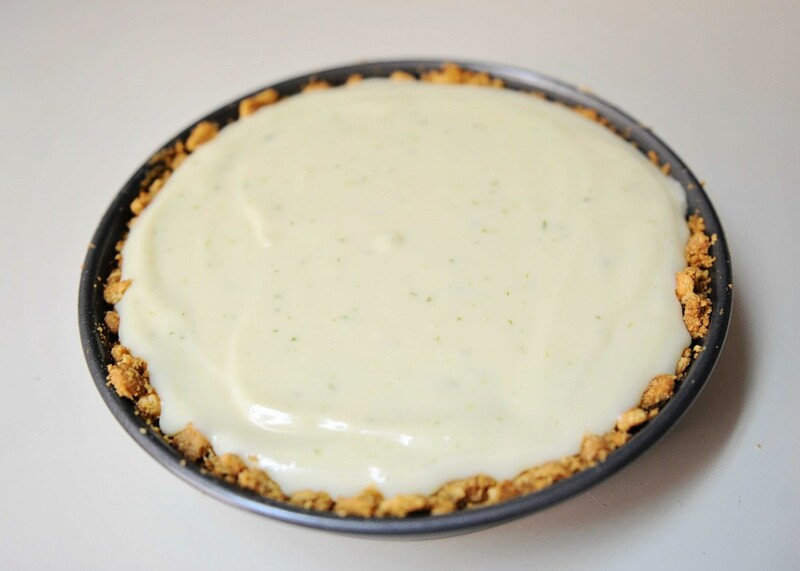 you could also just buy a graham cracker crust, but i think this looks and tastes better! 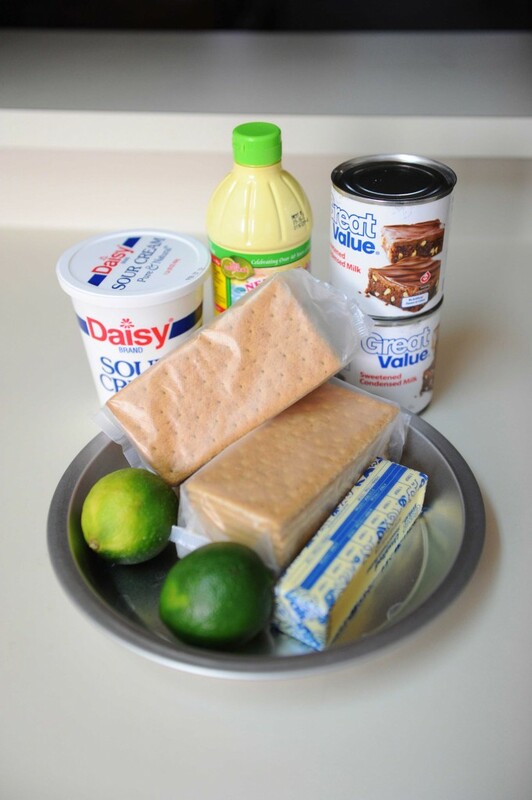 okay, now pour the lime zest, condensed milk, sour cream, and key lime juice into a large mixing bowl. beat on low (or mix by hand) until ingredients are well combined. when you’re finished, the mixture should have the consistency of a thick pudding. 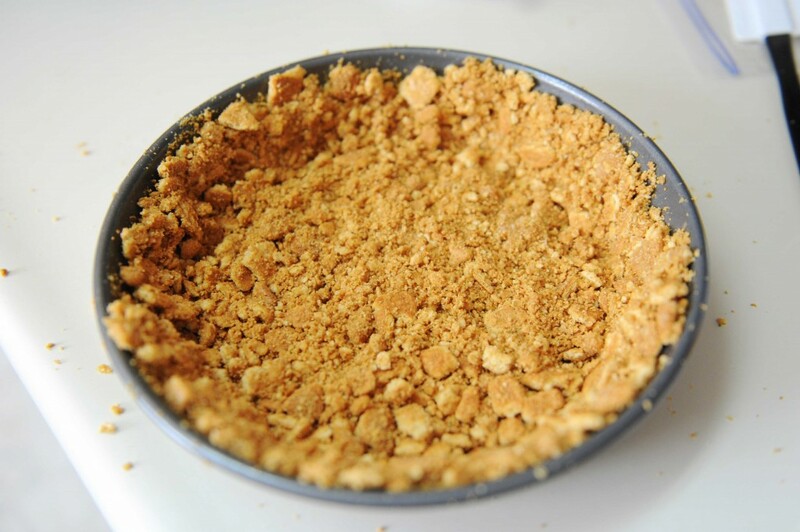 pour the mixture into your graham cracker crust. 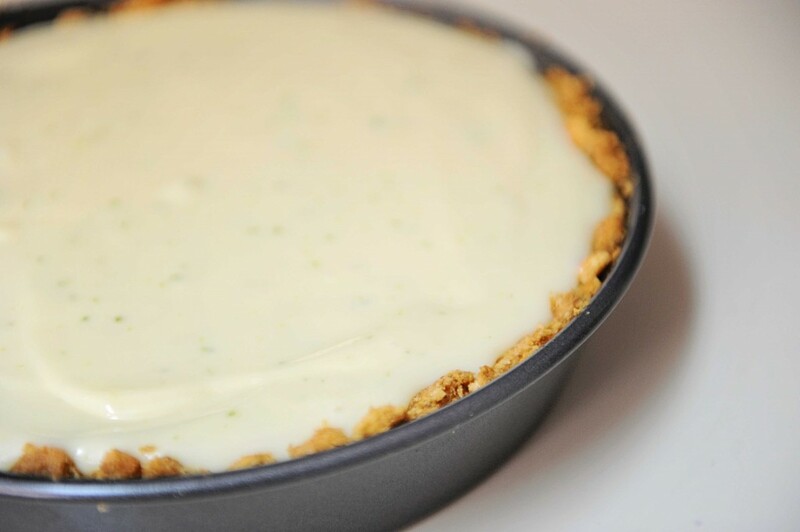 bake in your preheated oven for 5-8 minutes, until tiny pinhole bubbles pop at the top of the pie. don’t let the pie brown!! take it out, and let it chill thoroughly in the refrigerator before serving. yum!! if you wanna be fancy, you could garnish a slice with whipped cream and lime wedges! or you could be like me who is still enjoying a couple left over slices from the fridge :) either way, i hope you enjoy!